A U-bolt is a bolt in the shape of the letter U with screw threads on both ends. U-bolts have primarily been used to support pipework, pipes through which fluids and gasses pass. As such, U-bolts were measured using pipe-work engineering speak. A U-bolt would be described by the size of pipe it was supporting. U-bolts are also used to hold ropes together. Type 316 stainless steel has the best corrosion resistance among standard stainless steels. It resists pitting and corrosion by most chemicals, and is particular resistant to saltwater corrosion. 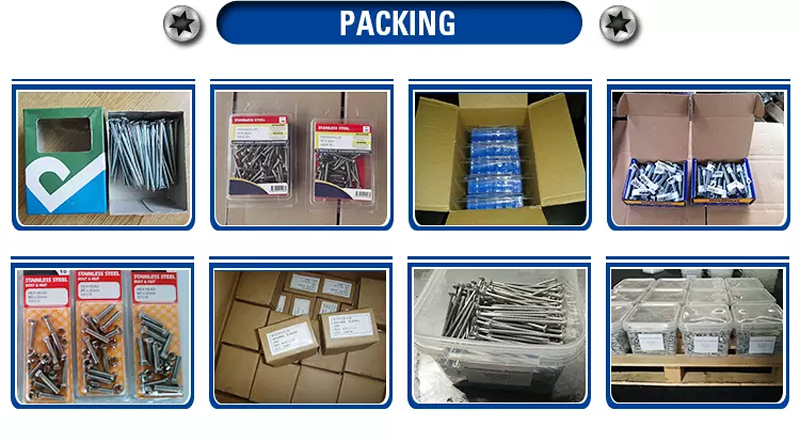 Type: eye bolt DIN580,eye nut DIN582,eye screw JIS1168,eye nut JIS1169,collar eyebolt to BS 4278/1,bolts to BSS 4278 TABLE 3,metric bow nuts to BS3974, rectangular ring,regular nut eye bolt forged carbon steel,shoulder type nut eye bolt,forged eye nut,screw eye bolt,G400 eye nut or as you required. Standard:Â Â DIN, JIS,BS etc. Package: cartons,PP bags or others as customers' requirements. Service: ODM and OEM are available and Sample is OK.
a market-leading catalogue and great people, we provide our customers with aÂ reliable on-demand service. 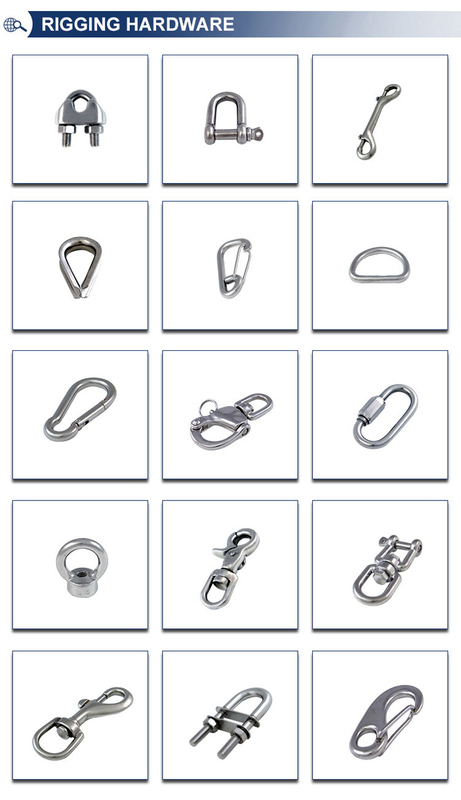 We specialize in offering OE and aftermarket parts and standard parts for Rigging ,Ring and Eye Plate ,Rigging Screw and Swage Terminal,Wire Rope and Chain,Stamping Parts,Pipe Fitting,Precision Casting for the industry. We have over 15 years experience. Q:How can we get aÂ sample? B: Samples are very quick, that is usually 3-7 days. A:Different items with different MOQ demands. Pls contact with us for detailed information. A:We have the inspect team to control the quality problem. From material to finished products, each step, our inspection man to inspect it. Q:Can we get the test report before shipment? 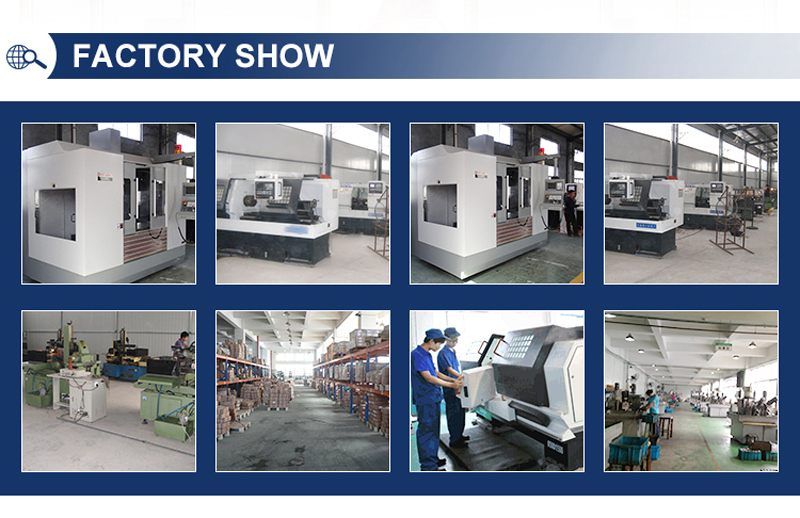 A:Of course, all the time, we provide test report to our customers before shipment. 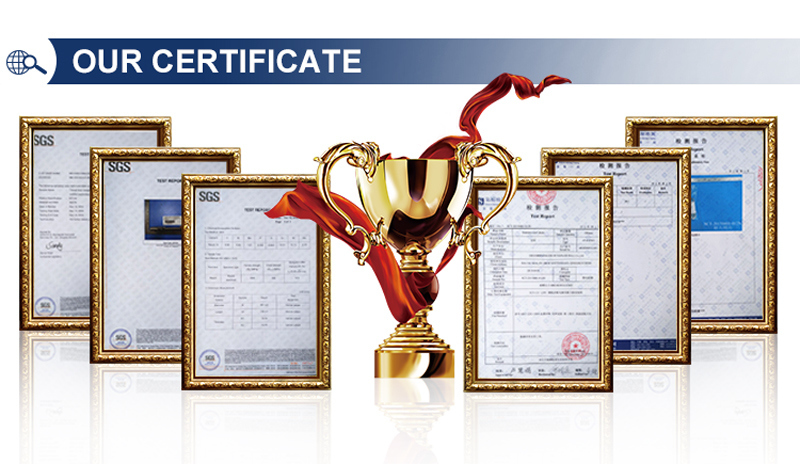 Besides test report, if customers need ,Â we also can provide material certificate. Q:What can we provide to our customers? A:We can provide our customers professional service, including high quality products, professional suggestion, quick reply, competitive price, timely delivery time. Q: what is the process of an order? A:Payment<=1000USD,100% in advance. Payment>=1000USD ,30% T/T in advance ,70% before shipment . if you have another question , pls feel to contact us as below . Q:Can we place a trial order first time? A:Yes, we are glad to supply you small trial order, and hope your quantity will be big in future.